Dental implants are used by patients all over Abbotsford as a way to replace missing adult teeth. They offer a natural-looking and durable solution to tooth loss, but they won’t last long without proper care. Keep reading for some do’s and don’ts that’ll help you make the most of your implants. Eat a Healthy Diet—Many of the processed foods that are bad for our health are also bad for our teeth. 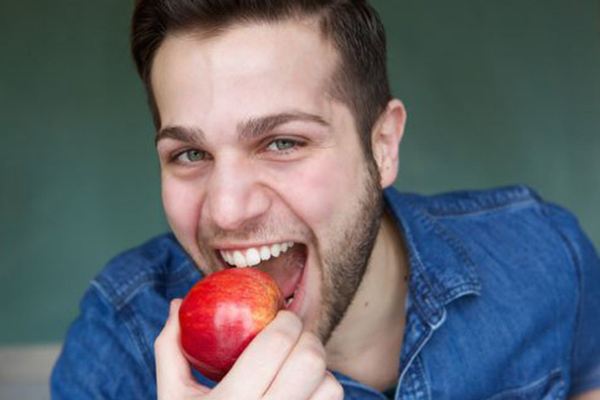 Sticking to a healthy diet is one of the best things you can do for your dental health. Take Care of Your Teeth—While implants aren’t vulnerable to cavities, you may still develop gum disease if you don’t keep your mouth clean. Brush and floss every day and have your dental implant regularly checked by your Abbotsford family dentist to ensure optimal performance. Swap Out a Bad Habit for a Good One—The best way to take care of your dental implants is to replace bad habits like drinking soda, with good habits, like drinking water. Give Yourself Time to Recover—Give yourself plenty of time to recover from the implant surgery and for your mouth to adapt to your new dental apparatus before trying to resume your regular activities and menu. This might mean you won’t be able to eat hard or sticky foods for a few weeks after surgery. Don’t Wait—If you have a rotten or missing tooth, it’s essential to seek treatment right away. Delaying treatment only lessens your chances of being a good candidate for dental implants and increases the likelihood that gingivitis or gum disease will develop. Smoke—Not only is smoking bad for your lungs, it is also extremely bad for your teeth and gums. Quit as soon as possible to prevent further damage to your teeth and general physical health. Forget About Checkups—Just like your natural teeth, dental implants require regular maintenance and monitoring. Schedule regular checkups once or twice a year so your dentist can keep an eye on your implants and correct any minor issues before they become major problems. For more information about how to care for a dental implant, visit Medora Dental Care in Abbotsford. Medora Dental Care offers dental services for the whole family. Contact us today to learn more about our services or to schedule an appointment. New patients are always welcome!